Download a free lesson sample and experience Tru today! Experience Tru curriculum as you try complete lessons from any Tru age level. 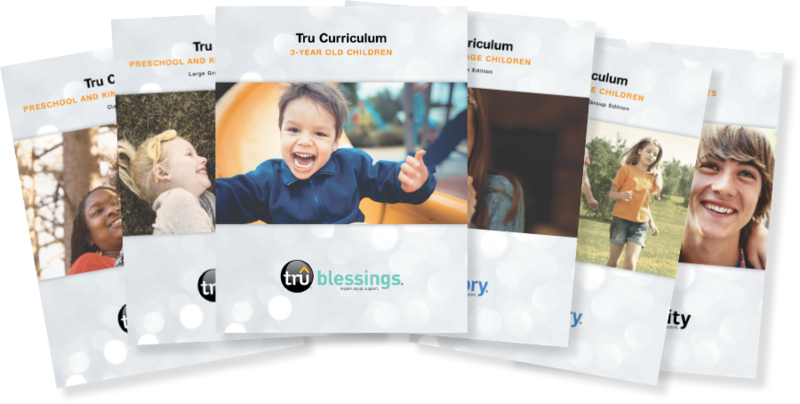 Tru offers curriculum for ages 3 through Middle School. Find out what makes each age group unique! Explore the “hows” and “whys” of Tru Curriculum with this step-by-step guide. Download a printable sample booklet and learn more about the upcoming Disciplr 2.0 platform. First, we need to learn a little bit about you. Tru Ministry is part of the David C Cook family.